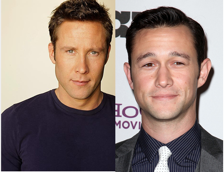 Joseph Gordon-Levitt and Michael Rosenbaum vie for role in "Guardians of the Galaxy"
A couple of actors from DC projects could be making the jump to the Marvel Cinematic Universe in 2014. Michael Rosenbaum, Lex Luthor on Smallville, and Joseph Gordon-Levitt, Robin John Blake in The Dark Knight Rises, are reportedly in contention for the role of Starlord/Peter Quill in Guardians of the Galaxy. Deadline first broke the news that JGL was in contention for the part of Quill and Rosenbaum confirmed on Twitter that he had also screen tested for the role. Other actors believed to be in contention for the role are Joel Edgerton (Zero Dark Thirty), Jim Strudgess (Cloud Atlas), Lee Pearce (Lincoln, The Hobbit), Eddie Redmayne (Les Miserables), and Zachary Levi (Chuck). As a fan of both Rosenbaum and JGL, I feel that either of them would do a phenomenal job and I would be over the moon if either was cast in the film. Guardians of the Galaxy is set to be released on August 1st, 2014 and will be directed by James Gunn.